Update 4: when you get the prices shown in USD despite being connected to a VPN, that means this VPN does not work for this method. you have to choose another VPN. Update 3: the Prices listed below for turkey did not change. if you see other higher prices, just continue and you will get the normal prices when you pay. Update 1: There are many unanswered questions in the comments. I will try to answer some of them down below. For existing users: unsubscribe from your existing plan and wait until it expires then do as following! Are the Movies and TV Shows in Turkish? yes, by using a Streaming Ip. I personally use a Streaming Ip from Torguard Deal. would paypal payments work with this? Is there any free VPN to achieve this deal? Does NordVPN works for getting this deal? Turkey prices have gone up? No, Netflix experiments from time to time on new prices. Those prices do not apply when you pay. Money I save on Turkish deal will spend on VPN to watch from USA, is it possible? Yes, just use a US Streaming IP from this Deal. Is Argentina cheaper than Turkey? Turkey pricing is still the same without any changes. Why do you do this? The quality of content on Netflix is 100% dependent on it's revenue. By doing this you are only making it worse for yourself, not to mention ripping off everyone else around you that's paying full price. Personally I'd rather Netflix was double the price so we got more choice and more original content. There's a reason Netflix is almost half price in Turkey, they have half the amount of content we do. So tell me, every time a mis-price deal is posted do you call the company and tell them about it? If something rings up cheaper at the supermarket than the shelf price do you tell them and offer to pay the extra? No. Thought not. Selective superiority syndrome. Nobody is doing anything illegal. It’s called a work around. I think your nominal is very apt. i suppose you could always ask a supplementary question; If Netflix can make money charging Turkish people much less than they charge us, why can't they charge us the same? Can you watch Netflix USA/india using thus method? Heat for the work involved but we share a Premium sub (4 screens at any one time) with my son so pay a fiver a month each household. It's a lot simpler/less stressful. Heat for the work involved but we share a Premium sub (4 screens at any …Heat for the work involved but we share a Premium sub (4 screens at any one time) with my son so pay a fiver a month each household. It's a lot simpler/less stressful. And this way you'd only pay £2.70 a month. I did this a few months ago and it works perfectly! What would I need to do to get it in English ? Thanks for the deal! Just be careful folks about bank foreign transaction fees. My bank for example charges 2.99% + £0.50 for every transaction. It works out just under £5 for me, so is viable for me, but maybe more for you. Why do you do this? The quality of content on Netflix is 100% dependent …Why do you do this? 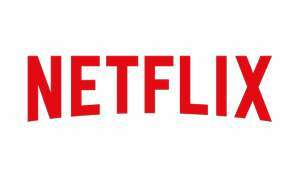 The quality of content on Netflix is 100% dependent it's revenue. By doing this you are only making it worse for yourself, not to mention ripping off everyone else around you that's paying full price.Personally I'd rather Netflix was double the price so we got more choice and more original content. I wouldn't normally consider joining Netflix but might using this deal so they have gained a customer. I imagine there is a very low percent of people who go down this route to join. You would have to be naive to think Netflix weren't aware people were doing this.. people have done it for years. It's a small minority of people. When it affects the business in a large enough way they can justify the expense of implementing a system to block it.. they will. I don't support people doing this either but at least it isn't illegal downloading/paying for an illegal service. Did this with Nordvpn, worked fine. So do you have to pay for torguard ? I wouldn't normally consider joining Netflix but might using this deal so …I wouldn't normally consider joining Netflix but might using this deal so they have gained a customer. I imagine there is a very low percent of people who go down this route to join. That's a lame argument. You're still abusing the system. Won't be doing that for much longer. Netflix will be stopping it. On Chrome, Hola Free is asking you to sign up to a premium account to access Netflix. How? You are allowed 4 screens at a time and can watch on a portable laptop, for instance. i suppose you could always ask a supplementary question; If Netflix can …i suppose you could always ask a supplementary question; If Netflix can make money charging Turkish people much less than they charge us, why can't they charge us the same? How much Turkish content do they produce, how much English content is dubbed for the Turkish market? Their price reflects their service, economy, market. You can all come up with all the excuses you like, but you ARE breaking their terms of service and you all know this is wrong. How? You are allowed 4 screens at a time and can watch on a portable …How? You are allowed 4 screens at a time and can watch on a portable laptop, for instance. I don't support people doing this either but at least it isn't illegal …I don't support people doing this either but at least it isn't illegal downloading/paying for an illegal service. No, but it's still technically illegal. Do you have to use your VPN all the time or can I then log my v into it (not the PC) which does not have a VPN? Anyone know? Done it?? Will it be in English? could i watch all the current series not using any VPN? Don't you have to pay for the VPL? Hola asks you to subscribe to a plan is that correct? It's a worldwide service and netflix promote it as such stating if you move region/country you will no longer get the turkish content but the relevant content for the area you're in at the time. However, they say, you will always be charged in the currency in which you joined but you can leave and rejoin if you wish to overcome this. I joined whilst actually in turkey and they send me emails several times a week with all the news for the uk programmes. Their revenue from monthly subscriptions must be fantastic for any of the providers; if you ring up sky and cancel the first thing they do is put a link on your account to get it for half price. Perhaps what you pay in turkish lira is more in line to what we should be paying for the service. Went for this last time round, four months or so I reckon? Works a treat. Paying about a fiver for everything. What are you waiting for! Heat for the instructions OP. Good price if you have the internet to stream properly. 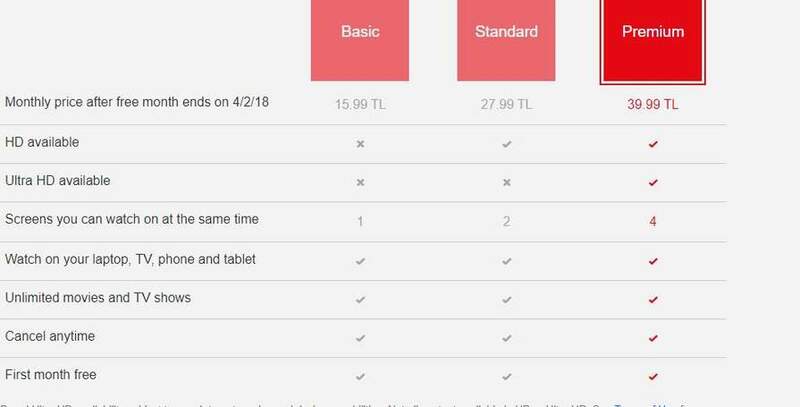 Will there be any added transaction fee if you use Paypal or any other payment for a Turkish subscription?? If that makes sense? Whereas I'm not arguing with your main point, the main reason it's half the price in Turkey is that their average income is around half what we have here. Would anyone be interested in sharing a Premium membership? We could get a group of 4 going? Deal posting newbie! This is SmallNat first deal post. Help out by leaving a posting tip or just to show your appreciation for their contribution.